I want to start my own YouTube channel. Do you have any tips? Unless you’re extremely talented, or unusually lucky, I doubt that you’ll be able to attract a huge YouTube following overnight. My advice would be to experiment, make videos you like, then grow from there. There are countless videos of pilots flying. Many of them are great, some are really boring. Think about who you want your audience to be and what they want. Then work towards fulfilling that demand. I started out, like many others, just filming my flights, then uploading them in full. That appealed to me initially, because I liked to review my flights to see what I can do better next time. But I suspect there are few subscribers who want to watch a 90 minute flight from start to finish. You’ll have to edit the video down, to a watchable length. Personally, I find it difficult to find the time to watch a video with a duration of more than 20 minutes. Therefore, I try extremely hard to make my videos between 15-20 minutes long. So you’re going to need some editing software! I can’t advise you what to use, but in my job as a TV video journalist, I use Final Cut Pro X and Avid Media Composer. At home I use Adobe Premier Pro. They’re all very similar, but it can take some time to learn how to use them. There is free video editing software you can download, but often this will have limited features, and may not allow you to do multi-camera edits, for example. It took me a while to find my ‘style’. I experimented, trying different approaches, and eventually settled on the style you now see. I really like taking passengers on flights, because I think that adds value to the trip, and I include our conversations in the films I upload. I used to use quite a lot of music in my videos, but I came to the conclusion that people found this a turn-off. I now use music more sparingly. If you’re going to use music in your videos, you will need to make sure you have the copyright owner’s permission. I now purchase music licenses from commercial sites. To make a watchable YouTube video of your flights, I think you’re going to need at least 3 cameras. One looking forward, one looking at you and your passengers, and one looking outside without you in shot. This should give you enough footage to edit. My followers seem to like the exchanges between myself and ATC. I include as much of this as possible. I have a policy of trying to be honest, neutral, balanced and fair in my videos. There are times when things go wrong, or people annoy me. I don’t think it’s fair to include footage/audio of someone else’s mistakes, unless there is a really good reason for it. Let’s say a controller messes up. It would be a bit unfair to plaster their mistake all over the internet, without their permission or an opportunity for them to explain their position. We all make mistakes – I’m happy to share mine, but not everyone wants to be a YouTube star for the wrong reasons. Can I come on a flight with you? I get quite a lot of requests from followers who would like to come on a flight with me, which is very flattering! Presumably you’ve seen my videos, and the standard of my flying?! If you think you’d make an interesting video, please get in touch here on my contact page, and send me some information about yourself, and why you think it would be good for the channel. I like to know a bit about you too, so please include links to your social media profiles. Why do you charge for bonus content/offer early releases? Running my channel and maintaining equipment, costs more than you think. Certification of exterior camera mounts for my aeroplane. I also invest a huge amount of time producing the videos for the YouTube channel. Just considering the costs of making the videos, in spite of the very generous folk who support me through subscriptions, and the small amount of money I receive from YouTube advertising revenue, in 2017-18 I made a very substantial loss. In 2018-2019 I am close to breaking even, but I have to make substantial investment in new equipment very soon. Rest assured that I don’t factor in any of the costs of flying, or maintaining my aeroplane in these figures. I’m not a commercial pilot so I cannot be paid for my flying. Any money raised is for my work making videos only. I will continue to make my films available for free on YouTube, but those who wish to help out are welcome to sign up and in return for a small monthly fee, they will get bonus features, and exclusive access. How many hours flying experience do you have? As of December 2018, I have 363 hours flying experience in total. 42 hours of which was instrument flying. 10 hours of which was night flying. I started learning to fly in September 2011, and I qualified as a private pilot in June 2013 after 78 hours of training. I have a night rating and an IR(R) rating (the UK’s restricted instrument rating). Where did you get your plog and comm sheet? I adapted a plog, in spreadsheet format that my flying instructor gave me. You can download them here if you like. Tell me more about your aircraft? I own 1/6th of G-BHOR, a 1980 PA28-161 Piper Warrior 2 based at Redhill. I used to fly G-CEIZ, a group non-equity PA28-161 share aircraft based at Biggin Hill. Unlike the rest of the world, the UK’s air traffic control services outside controlled airspace are separated into Basic Service, Traffic Service, Procedural Service and Deconfliction Service. You can read more about the differences in these services here: http://airspacesafety.com/atsocas/ or search for CAP 774 on the CAA website. How much does it cost to get a private pilot’s licence? How long is a piece of string? Ok, I can talk ball-park figures here. This all depends on where you train, what aircraft you’re flying, and how quickly you learn. The minimum flying training you need is 45 hours, but it took me nearly 80 hours. The amount of flying training you need can depend on the pace of your learning, which in turn depends on your budget and your availability. I tried to fly about once a week. I would guess it cost me about £8000. Wait, did you say you have a ‘husband’? Uh, yeah.. some pilots are gay! How do you eliminate the propeller effect? Filters like this, can all-but eliminate the propeller from the recorded image, but if you use a filter that’s too dark for the conditions, the picture quality can suffer significantly. I use different settings depending on what I’m doing. I usually find that 1080, 25fps, and the wide setting works pretty well but I will usually film my flights using the GoPro 2.7k 25fps setting. I will usually publish my videos in 1080p. The higher the resolution/frame rate, the more battery power and memory card space the camera will consume. Why 25fps and not 30? Our electrical system here in the UK is at 50hz, rather than the 60hz you may be familiar with in other parts of the world, such as America. Therefore, our TV programmes are broadcast at 25fps. What do you use to edit your footage? Currently Adobe Premiere Pro for PC. How do you record your flights inc intercom audio? I use a range of different GoPro cameras, here I’ll explain how I’ve found them in the cockpit. I’m not sure this model is even being made by GoPro any more. As of February 2017 I’ve found some online sites still selling them. If you’re just starting out filming your flights, then this will be a good entry camera. In terms of specifications, it’s a scaled down version of the higher end GoPro cameras, and is relatively cheap. I currently have two of these cameras, and I’ve found it has the best battery life of all my GoPros. It provides a good quality picture too, if limited to 1080 25/30 fps though. But why would you want more? 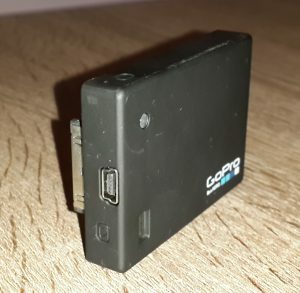 There are no inputs for external audio, and the battery is internal. This was the first GoPro I purchased. It comes with an LCD screen, audio jack (micro usb), wifi connectivity and it can shoot up to 2.7k at 25/30fps. It can shoot 4k but this is limited to lower frame rates. This camera performs really well, with medium battery life – perhaps about 90 minutes on average. It has the benefit of being able to take an external battery pack – more about those later. While this camera records at 4k 25/30fps and has a socket for external audio, it doesn’t have an LCD screen. Like the Hero4 silver, it does have wifi which you can use to line up your shot with a connected mobile device. This camera is the latest in the GoPro range, and includes video stabilisation. I run some of my cameras at 1080p 25fps, wide. The others at 2.7k, 25fps. Beware that mixing resolutions and frame rates can cause difficulty with multi-camera editing. Using higher resolutions allows you to zoom the picture, while keeping the picture at a reasonably high definition. I used this technique when filming this video about the WW2 Forts in the Thames Estuary. The higher resolution meant that I could zoom into the forts, without the resolution dropping below 1080. Here’s where it potentially gets a bit complicated. It’s one of the most common questions asked of YouTube pilots. The reason it’s complicated is because there are various ways to do it, and there are a few nasty gotchas that you have to watch out for. Firstly, you need a splitter cable that will take the audio from your aircraft’s intercom. You can buy these at most of the aviation retailers. Next you need to decide whether you want to record directly into your camera, or onto a separate digital recording device. 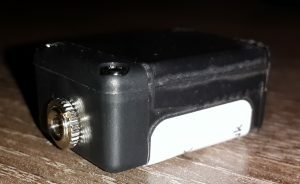 If recording straight into the GoPro, depending on the splitter cable you choose, you may need to buy an adapter to connect the cable from the aircraft into the GoPro socket. Again, depending on the cable you buy, you may need to add in an attenuator…see below. If you buy a separate digital recording device, you must make sure that it will accept a LINE LEVEL audio input. Sadly, such devices tend to be on the more expensive side. You can expect to spend around £100 for this. If you don’t buy a device with a line level input, your audio will be distorted. The benefit of recording onto a standalone digital recorder is the certainty that you’re going to capture the intercom from the whole flight. I’ve suffered the frustration many times where my GoPro battery has run flat, leaving me not just without pictures, but act audio too. If you find that your audio sounds distorted, you may want to buy an attenuator. Here’s an example of a 40dB (line level to mic level) version I bought from a seller on ebay which has cleaned up my intercom sound very nicely. There’s nothing worse than ear-splittingly loud and distorted recordings. I currently use a mixture of suction cups and glue-mounted GoPro shoes to mount my cameras in the cockpit. I have two mypilotpro tie down mounts on each wing, which I had to have certified for use on my aeroplane, per EASA rules.You need to check the regulations in your country before trying to mount a camera on the exterior of the aircraft. Never use a suction cup on the exterior – it will fall off. On most flights, I will have one camera filming from the win, I have one camera pointing back at me, one facing forward just behind the two front seats, and one facing forward looking at the instruments and through the front windshield. Obviously, use common sense when positioning cameras to make sure they aren’t going to hit you, or jam a flight control if they come loose. It’s worth making sure they are firmly attached before setting off. This is the biggest issue I’ve had to grapple with. All the GoPro cameras I use will run for an hour without running flat, but beyond that some of the higher spec cameras start to suffer. Most of my flights, including taxying are about 90-120 minutes, so I’ve had to find workarounds for this. I carry spare batteries for both the Hero4 Black and Silver cameras, and can swap those down route (never in flight) to capture the return leg, if landing away. 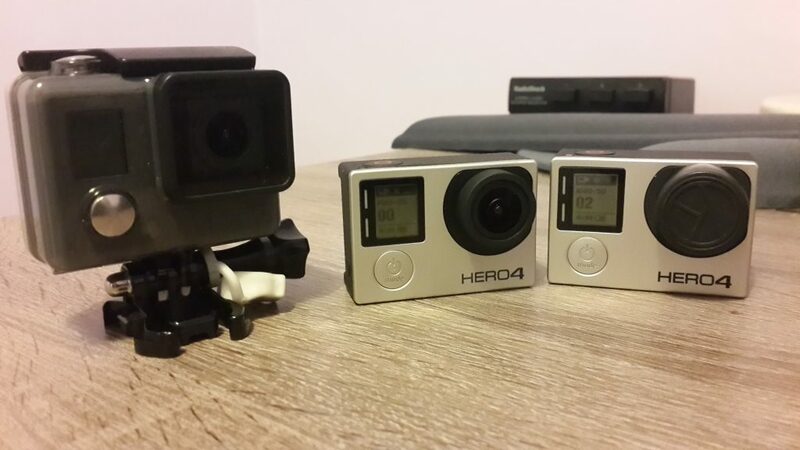 GoPro make a battery pack that you can attach to the back of the Hero 4 Black and Silver versions, and this extends the life considerably. I did purchase an All Day Brunton 2 battery pack, which, as the name suggests, will run all day! The downside of this pack is that it is very heavy, and while it can sit on the back of the GoPro quite nicely, I began to worry about what would happen if the camera were to detach. This accessory also made the Hero 4 Black camera overheat. Consequently, I rarely use it now, but it is quite useful for charging cameras when down route. I’ve used Final Cut Pro and Adobe Premiere Pro for editing my flying videos. How to edit is a big topic in itself and I don’t intend to cover that here. So having filmed your flight, you now have a terabyte of footage, from multiple cameras that needs to be synchronised. Your audio, if recorded on a separate digital recorder also has to be matched up with the footage. To help with this, I often clap my hands in front of all the cameras just before starting the aircraft’s engine. This provides a good synch point for your footage. You can edit in a multi-camera mode in your editing software or, if like me your computer was built in the dark ages and can barely cope with one video source, you may have to lay the footage onto multiple tracks. I then cut through the different tracks, to choose the camera angles I want. I suggest you start small, perhaps with a couple of cameras, get an audio recording cable and see how you get on. I’ve had many failures during the course of filming my flights, and it can be frustrating. One final word of caution. When you get to the stage of mounting multiple cameras, you really need to give yourself plenty of time to rig them. I allow at least 30 minutes to rig the aeroplane, and I do this prior to starting my walk-around. If I’m under time pressure, I ditch the cameras and concentrate on preparing and flying the plane safely. Filming your flights is a great way to learn from your mistakes, hone your landings, and extend your hobby to fill the hours between flights. Carburettor heat is something you’ll find on older piston engine aircraft such as the PA28 and Cessna 152. It’s used to clear ice from, or prevent ice from forming in the carburettor in the engine. Carburettor icing is a common cause of engine failure in the UK. I receive many questions about my use of Carburettor heat because there are various schools of thought about it, and because my videos are watched worldwide, different climates require different processes. One question I commonly receive from US viewers is: Why do you use carb heat during descent, or check it during the cruise. These people often cite the POH which says to only use carb heat when carb ice is suspected, per the POH. To that question I refer to the UK’s aviation regulator (the CAA) who, because of our climate, and the prevalence of carb-ice accidents/incidents, advocate much more frequent and routine use of carb heat. Google ‘CAA safety sense leaflet 14 carburettor icing’ to find the advice. The other common question I get asked from UK viewers is: Why do you switch carb heat off on short final? I’ve been trained by various instructors, who advocate different approaches. There’s the type who leave it on, and turns carb heat off, as they go-around. There’s the type of turns it off on short final. At this current stage in my flying, I’ve found that turning carb heat off at about 300 feet, at about the time when I do my final pre landing checks works better for me. Carb heat has to be off if you need to apply full power for a go-around. A lot has to go on during a go-around, and it’s another phase of flight often featuring in accident reports. I prefer not to have to think about carb-heat during the go-around, so performing that task at 300ft is a good compromise. If you’re a pilot undertaking training, then I would recommend you continue operating carb-heat in the manner you have been instructed, and if you have any questions, then take them up with your instructor. What exterior camera mounts are you using? The camera mounts I use attach to the PA28 tie down points. They are from mypilotpro.com in the US. The mounts are approved by my CAMO (aircraft engineer) under EASA CS-STAN (Standard Changes and Standard Repairs). My engineer, paying regard to the CAA’s Policy and guidance on mounting cameras on aircraft, CAP 1369. What app are you using on your Ipad? How do you synchronise all of your cameras? I try to record a ‘synch clap’ on the video at the time of recording. When all the cameras are recording, I clap my hands, and then when I come to edit the video, I can look for the clap, and synchronise all of the cameras to the same point. Where did you get your yoke clip? What iPad are you using, and how do you mount it? I now have an ipad mini, wifi/gps/cellular version, and I mount it with the same yoke attachment, but a smaller cradle. Make sure you get the right attachment/cable for your needs. Do make sure the flight controls are unimpeded by the mount/iPad. If you don’t adjust it well, it can get in the way of the mixture setting on the PA28. How long does it take to edit the videos together? It usually takes me about 2 days in all. I start by converting the footage from the GoPro files to something easier to edit with. I then synchronise the various camera angles and sound, then start a rough cut. This involves working out what the ‘story’ will be, and being brutal about what to cut out. A fine edit follows, with a script if required, then a sound mix, then graphics, then a colour grade. The upload is usually done overnight, as it can take quite a number of hours. 26 Comments on "Frequently Asked Questions"
Hi Jon – I also use a Go-Pro, and found that increasing the frame rate to 50 fps eliminates all prop blur, without the need for a filter. OK, the files are somewhat larger than using 25 fps, but I think the results are worth the extra size. Thanks for the videos, I enjoy watching them. Thanks Mark. Yes, I came to much the same conclusion, and have currently ditched the prop filter. What editing program are you using for your videos? Do they take as long to edit as they look, great quality! Hi James. Adobe Premiere Pro at the moment. It’s about 16 hours’ work per film. Jon – what sort of spec PC are you running for editing? Quite an old dell model..http://www.dell.com/uk/dfh/p/studio-xps-8100/pd I think. it just about copes. In need of an upgrade. But I’m spending all my money on flying these days!! Will do, thanks Jon, and happy flying. Hey Jon, with ref your comments on battery life, when I started learning I recorded every lesson to do the personal debrief afterwards, and it really helped with the scary comms. 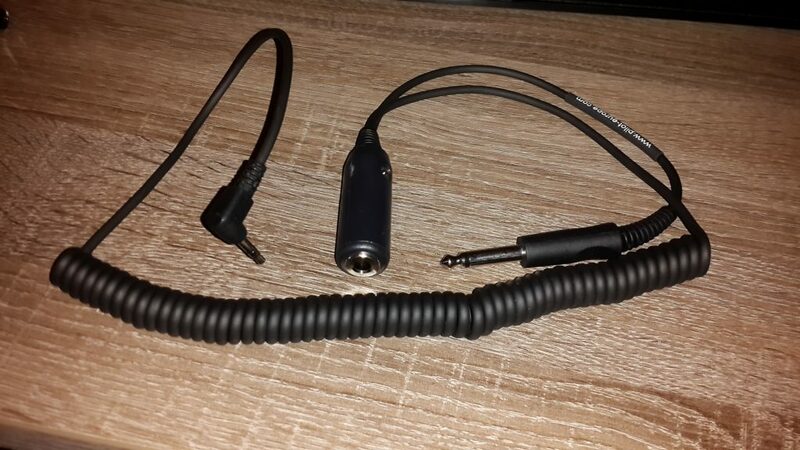 can I suggest the following, I purchased this cable “Nflightcam GoPro Audio+Power Cable” off of ebay, it plugs into one of the speak sockets, your headset plugs into a secondary socket, the good bit is that there is a USB plug to go into the gopro and a USB socket which with an adaptor you can then plug into one of the travel batteries which you purchase for charging phones etc. when not near power sockets. I have a 1000mah battery that I plug in and this allows easily to record audio and video on the gopro for at least 2.5 hours, that’s my longest thus far. Just found your YouTube channel and have really enjoyed catching up on the videos. I especially like how clear your explanations are. Hi Jon, what a refreshing and excellent YouTube channel you have. I’m making my way through your videos and really appreciate how you explain what’s going on in the cockpit and beyond. You’ve revived a long dream in me to one day get my PPL and explore the skies like you do. Your channel has made me look into this more seriously now, which is both daunting and exciting! I gather that you’re flying through a group share. Would you be able to give an indication of monthly outgoings to maintain your passion in the air? In ballpark figures, what does it cost you to fly? Hi. Thanks for your message. Our monthly costs are currently £150, hourly £100, the occasional cash-call for aircraft improvements, unexpected maintenance. But then you have to factor in landing costs, purchase of charts, medical, cockpit mounts for tablets, headset, etc etc. Not a cheap hobby, but there are ways to do it. Gliding, microlights…all much more affordable. Hi Jon, I was trawling YouTube to find videos like yours as I’m needing to improve my RT skills somewhat. I fly a SkyRanger Nynja which is a 3 axis microlight out of a small former WW2 airfield not far from Popham called Chilbolton. Unfortunately I don’t visit many airfields like yours at Biggin hence the reason for a refresher with my RT. I have watched a few of your videos and I’m very impressed as you are a good narrator which makes it very interesting and I can learn from it. I see in your euro adventure you’ve a smaller tablet for Sky demon what do you use to mount it to the yoke. I notice on the YouTube videos that your wear a Dave Clark headset. I’m looking to buy a headset soon, once I have gained my Class 2 Medical Certificate, and know that my flying career is well underway. How do you find the DC headset for user friendliness and comfort? Have you tried any other make of headset? Any help and guidance you can give will be very useful to a 63 y.o. P.U.T.!!! I found the David Clarkes comfortable, good quality and hard wearing during training. In journeys over 2 hours, they can get uncomfortable. Because I’m touring more now, I have purchased the more expensive Bose. Thanks Jon, I’ll bear your comments in mind when I get to buying my own headset. Hello John, Enjoyed your videos, thanks. I didn’t realise until recently that a PPL licence is for life, having obtained mine 44 years ago I am looking forward to flying again subject to a medical and a proficiency test, I thought you and other pilots would be interested in the link regarding self certification regarding a pilots medical requirement.